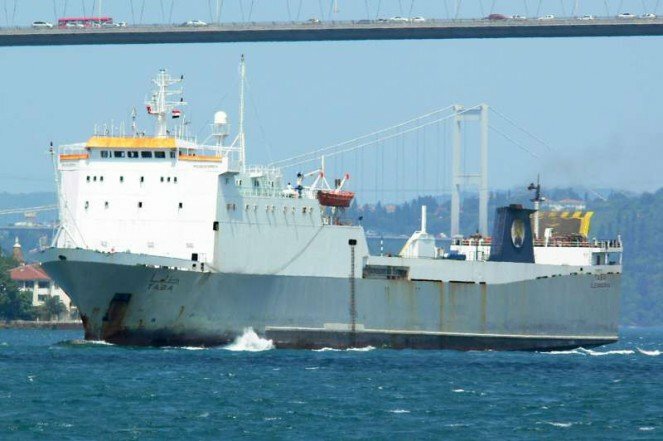 Cairo: Egyptian ro-ro cargo vessel Taba (3,133 dwt, built 1985) capsized in the Red Sea around 20nm from Safaga Port on Sunday. The vessel, managed by Lebanon-based SeaChart Marine, had left Safaga Port and was on its way to the Port of Duba, Saudi Arabia when it started sinking due to a shift in the balance of 43 cargo trucks onboard the vessel. A distress signal was sent and the Safaga Naval Base sent a rescue team for the crew and 37 passengers, mostly truck drivers. Three crew members were injured with fractures and six with bruising. Authorities are now investigating the incident.